When it comes to making a mark in the digital world, starting a blog is a time-honored strategy. Nothing in life is simple, however, and choosing the best blogging platform for your needs is no exception. What should you consider when you’re looking at different blog platforms? This quick guide makes it easy to move the decision process along with the bare essentials about eight of the web’s most popular options for both free and paid blogging platforms. You may be a business owner or an aspiring artist, but no matter why you want to blog, it’s important to understand what each tool can help you accomplish. I’ve ranked the following options based on characteristics like their ease of use, functionality, setup demands, cost and plugin availability. WordPress.org software is hands-down the planet’s most widely used blogging tool, and I think it’s the best free blogging platform for most people. As open-source software, WordPress.org lets you extend, customize and remix code to your heart’s content. This means that in addition to creating cool custom themes and styles, you can integrate it with other content management systems, or CMS’s, which is perfect for companies. If you’re not into coding, then you can also take advantage of the thousands of other users who share tips, configurations, and settings freely. WordPress’s customizability makes it the platform of choice for many enterprises that create branded themes. This software’s massively high adoption rate also means that when it comes to building your own unique web presence, you’re probably not the first person to tackle the problems you’ll face. WordPress.org lets you host your own version of the WordPress software. This blogging platform gives you more power to choose how to manage your site for maximum uptime and availability. Working with a web host also means that many service providers offer software and hardware systems geared towards deploying blogs. In order to get you started down the right path with building a brand new blog, you're going to need an (affordable) domain name and hosting—we'll be using the hosting provider I personally use, InMotion Hosting - throughout this guide to accelerate your progress. Get your domain name and 47% off a hosting plan with InMotion Hosting to get your blog online. You have the freedom to decide exactly how your blogging platform or site looks, feels and operates for users. Free themes and plugins number in the thousands. WordPress software caters to search engines to make your content more accessible. WordPress is so well-used that it’s easy to integrate with other tools, like forum and shopping cart software. It’s easy enough for beginners yet powerful enough for companies and blogosphere veterans. The software is regularly updated. You’re responsible for using secure plugins and deployments. You have to make decisions about how to manage your site and back up your data. Since it’s not a free blogging platform there is a bit of a learning curve. Even though the software is free, you need to pay for a hosting service and domain name. If you’ve already got web space, then this might not be a concern. What is the difference between these blogging platforms? I think this really comes down to one word and that is OWNERSHIP. With any free blogging service or platform if it’s provided free of cost then you can bet you do not own the website or the content and WordPress.com is no exception. Secondly and just as important is MONETIZATION. You are not able to monetize your website on the free version of WordPress.com which means you cannot sell your own products or run Google Adsense. There are multiple other methods for monetizing your blog or website but these are just two examples that are not possible with the free version of WordPress.com. Third and certainly a major drawback on the WordPress.com version is ADVERTISEMENT. With their free account, you have no control over who or what is being advertised on your blog. Not only does WordPress.com allow advertisers on your site without your control but they are also going to advertise themselves. In summation: Self-hosted WordPress.org is the best solution for starting a blog or website because you own your domain, you own your content, and you can monetize your website or blog how you see fit. The majority of the serious blog and website owners are using WordPress.org version with a web host of their choice including WordPress hosts in Canada, United States, Australia, India, Singapore, the UK, and Europe. Utilizing the self-hosted version and a web host of your choice you are able to select from a myriad of customizable themes and extremely powerful plugins. The custom theme and plugins allow you to create just about any type of website you can imagine. The self-hosted WordPress.org platform does require a little bit of a learning curve but so do most platforms, even the free ones. What’s more is the greater WordPress ecosystem is chalk full of free helpful tutorials on ​how to start a WordPress blog. For serious bloggers or anyone interested in monetizing their website, starting on the self-hosted WordPress.org blogging platform is a must. If you don’t care about who is advertising on your blog, being able to make money from your blog, or owning the content on your blog then go with WordPress.com. Alternatively, if you want to earn money part-time or even full-time and be in control of your website and what is put on it then go with WordPress.org the self-hosted version. If this sounds like something you want to invest in then I commend you for making a wise choice along with 72 million other people on the WordPress.org platform. Fortunately for your, I have negotiated an exclusive 47% off discount with inmotion hosting so you’ll be paying less than $5.00 per month. You can essentially own your blog, your blog’s content and make a profit from it for less than the cost of a bottle of purified water per month. ​WordPress.com is the no-fuss flavor of WordPress.org. Although the software offers similar core functionality, there are major differences between this hosted blogging platform and the self-hosted alternative. While most people agree that the WordPress team does a good job publishing themes and providing a range of different plans that are simple to use, not everyone shares the same opinions about whether the extra cost is worth it. One of the biggest reasons that many bloggers prefer the free WordPress.org version is that it’s much easier to monetize. When you join ​WordPress.com, the terms of service agreement you sign (you should probably read it) gives WordPress the right to profit from your content, similar to the way Facebook and some other platforms do. This means that WordPress is the one making cash for your ad views and clickthroughs. Another concern with using a WordPress.com blogging platform is that you have to settle for a domain name that includes “wordpress.com” unless you pay. This can make the journey to your site more complicated for users who don’t follow a link. If you’re running a business, your credibility is almost certain to suffer when people wonder why you don’t have a more professional web presence. Again, these factors may not be problems if you’re merely trying to start blogging without any setup, but they’re still worth considering. You can manage your site, posts, and other content efficiently via a convenient dashboard. Using WordPress is an excellent way to save time. On this blogging platform, you can schedule posts for delayed publication. Analyzing performance and audience usage statistics is easy. The software is mobile ready out of the box. Due to their shared framework, WordPress sites can look somewhat similar unless you take steps to mix things up. Any customizations you make must adhere to the WordPress standards. You can only install approved WordPress plugins. You can use a ​limited version of ​WordPress.com for free to see how you like it, but it only comes with the barest of features and includes WordPress.com advertisements. For $4 per month, you can add live support, use a custom domain name, eliminate WordPress.com ads and get 6 GB of storage instead of the regular 3 GB. Storage increases as you move up the tiers, and you also gain the ability to monetize your site with your own ads, access premium themes, use VideoPress and play with advanced design customizations. Only at the highest level of $24.94 per month do you get to install custom plugins, use custom themes, work with Google Analytics and eliminate the WordPress.com branded page footers. ​Medium is a hosted blogging platform that caters to those who want to delve into writing. Although it lacks the themed customizability of some alternatives, its minimalistic layout, and ex-Twitter founder leadership means that it’s more straightforward and elegant than many other blogs. Joining Medium puts you in fairly good company with famous politicians, academics, journalists, recognized business thought leaders and other highly credible content creators. This platform is a hotbed of social journalism, so it plays a crucial role in helping you grow your authority. Like Twitter’s Tweets, readers can recommend and share your posts. Since content gets sorted by topics instead of according to authors, you may also profit from more organic discovery by audiences. You can use custom domain or subdomain names but only on a per-post basis. In other words, this platform doesn’t let you create a separate site. The service lets you embed videos, Tweets, and other external content. Medium includes native formatting and publishing tools. The social aspects of the platform help spread your voice. It’s easy to start writing or collaborate with others. You’re stuck with the Medium design. There are no plugins or extensions. 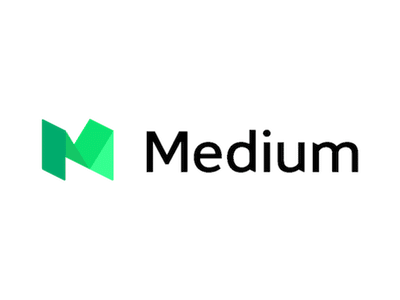 Medium doesn’t own your publications or content, but it does prohibit specific forms of material, including automatic and paid marketing interactions. Since Medium is free, it’s an excellent way to get started with blogging on the cheap. If you want to use services like custom domains, you’ll pay a one-time setup fee of $75, however. As an option you can start free on Medium and migrate to WordPress without downtime later down the road. Do you crave the ease and open-source flexibility of WordPress without the bells and whistles? ​Ghost is both a self-hosted and a hosted blogging platform and might be for you since it was explicitly designed to make blogging simpler. This does mean that it lacks the CMS perks that many other tools have, but it’s easy to download the software, deploy it to your own server and get running. Corporate Ghost users include companies like Zappos and Sky News. Since you can work in the straightforward Markdown language, you can live preview your posts as you go instead of dealing with slow WYSIWYG editors. This software is extremely hackable. Ghost includes many integrations that some software only makes available as plugins, including Facebook Open Graph, Twitter cards, optimized URLs, Google Amp pages and other essential SEO features. Ghost may be more responsive than some alternatives due to its lightweight nature. There are no formal third-party plugins or extensions, although you can add your own tools. If you’re not a coder, then customization may be more difficult on this blogging platform. Ghost(Pro) lets you run your blog on a hosted service with a content delivery network, and its monthly price increases with the number of views you get. The Personal version starts at $19 per month for a single blog with 50,000 views, and the business-oriented Team version begins at $79 per month for 10 blogs with 500,000 views. There’s also a Business option for $199 per month, which gets you more support, as many blogs as you want and 2 million monthly views. If you go the self-hosted route, you’ll also need to pay for a domain name and server space but there are some ​premium themes available on the web that might make this worth the cost. ​Squarespace is a hosted blogging platform and one of the best all in one website building services. If you’ve listened to any podcasts recently, then you may have heard ads for Squarespace. This CMS service goes beyond just blogging by including a website builder, e-commerce tools and hosting. It’s easy to set up, customize and deploy, and there are lots of slick plugins, designs, and extensions to choose from. Since this service charges users according to a monthly subscription model, you don’t have to break the bank to make the most of it. Plus they keep a pretty good eye on who they will allow on their platform, they’ve made it clear by giving this “group of sites” 48 hours to move off their platform or be shut down. Squarespace is great for people who lack the time or technical skills. The behind-the-scenes interface supports visual site design, and if you find yourself stuck, customer assistance is available 24 hours a day. When your web presence isn’t your primary focus, then this is a right place to sink your teeth into content publication. You can use a custom domain and security features. You can build stores, blogs, forums and other sites. Site design works with a drag-and-drop tool or code. There are many professionally designed templates. You can process transactions via Stripe or PayPal. This software isn’t open-source, so you can’t create your own extensions or hacks. This platform does more than just blogging so it may be a better value if you’re creating an entire site instead of merely hoping to post on occasion. You can’t download and host your own site, although it’s possible to export your data. The cheapest subscriptions on Squarespace begin at $12 per month for a website. You can also choose online store plans that start at $26 per month. One nice aspect of this service is that you get metrics, mobile optimization, 24/7 customer support and SSL security with even the lowest-priced options. Squarespace services such as logo design, custom domain registration, and other extras carry additional fees. But you might discover that hosting your own WordPress.org installation with a dedicated service ends up being more cost-effective if you’re primarily interested in blogging. ​Joomla is another self-hosted CMS platform, but although reviewers and users have noted its similarities to WordPress, it’s worth considering that it’s not as widely adopted. 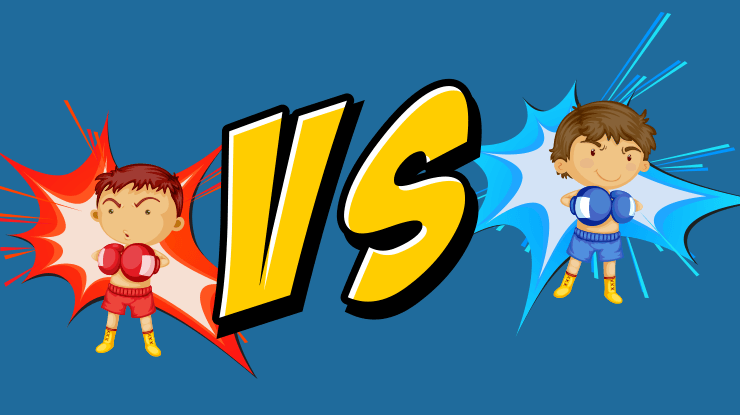 Popularity contests aside, this means that you may have to solve some problems on your own, and it also reflects the commonly held opinion that Joomla’s backend is a bit harder to navigate than WordPress. 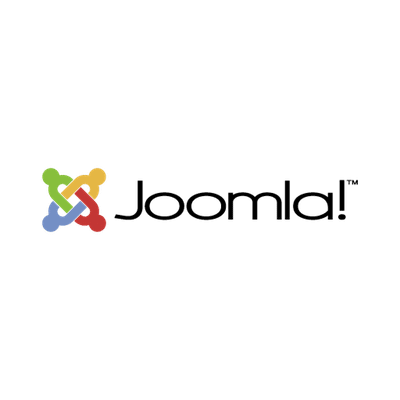 If you’re willing to go through the learning growing pains, then Joomla isn’t a bad choice for hosting a blog or website. The software has a long history of development, and it’s free. You can use lots of community-created theme content. Joomla includes a media management tool that helps you enliven your blog with a range of content types. There’s a banner management tool that you can use to set up advertising and monetization. There are fewer add-ons and extensions on this blogging platform than you might get with something like WordPress. Security, backups, software updates and other administrative tasks are entirely up to you. You’ll have to master the platform to make the most of it. There’s no formal support so you may have to rely on an expensive third-party consultant for help. Joomla doesn’t cost anything, but your blog needs a place to live. In other words, you’ll have to pay for web space and a domain name. These costs vary by provider and the features you want. You may also have an easier time finding package deals for more commonly used tools, such as WordPress. ​Tumblr is, in my opinion, the best microblogging platform on the market. Whereas WordPress is primarily for blogging, Tumblr blurs the lines between blogging and social networks. Its history as a microblogging venue means that it’s more appropriate for easily digestible, high-impact content, like memes. GIFs, images and other shareable posts do exceptionally well here, and with hundreds of millions of blogs and monthly page hits, achieving virality isn’t out of the question. What may turn some people away from Tumblr is the fact that it’s not the most professional platform. It’s nice to work with a site that takes a laissez-faire approach to user content, but blogging here doesn’t necessarily mean that you’re surrounding yourself with high-end journalism. While this is probably the best free blog platform for sharing memes, poetry and personal fanart, it only goes so far, and it’s harder to make headway with posts that deviate from the prevailing short-and-sweet format. Tumblr is relatively easy to modify with a basic understanding of web coding practices. The site’s social media-oriented approach tends to help content go viral. There are limits to what you can customize. The Tumblr site layout is less clean than other socially oriented blogging tools like Medium. The Tumblr platform has seen controversies like copyright violations, political leanings, security problems, spam and a non-negligible amount of adult content. You have to use a subdomain by default, although it’s possible to connect an external custom domain to your blog. Tumblr is free, so it appeals to microbloggers, artists, and people who just want to establish a content-driven personal web presence. What you might end up paying for are the themes and hard work needed to distinguish yourself from the hundreds of millions of other blogs on the site. ​Wix is a hosted drag and drop website builder platform. Used by small business owners to create an online space Wix is not a bad choice for a blogging platform but their free account splashes advertisements and Wix logos all over your website. Wix is very similar to Squarespace and they bake many website management tools into their basic platform but you have the option to extend the basic capabilities by purchasing “add-ons” from their Wix App Market. No coding skills are required, you can build your site with drag and drop tools. Quality support available 24/7 plus a substantial knowledge base. The free plan is very limited and comes with ads and Wix branding on your site. Inability to change website template, once you choose one you are stuck with it. Very limited blogging platform compared to other solutions. E-commerce is not possible on the free plan and even with paid plans is limited. ​Wix appeals to small business owners, artisans, photographers, etc.. because of their free plan and the user-friendly drag and drop builder but the blogging capabilities of this platform are pronounced. Wix does a good job of hooking people in with their free account but you’ll quickly realize that money will need to be spent to have a professional looking website. 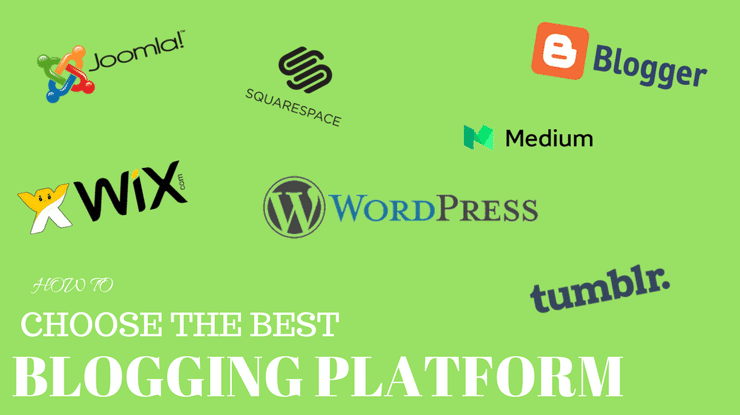 So which tool is ultimately the best blogging platform for you? While your intended usage definitely makes a big difference, I think that most businesses and individuals who want their blogs to act as stepping stones to greater things will benefit from a simple WordPress.org installation on a hosted server. The flexibility that you gain with this software goes a long way, especially if you plan on expanding your blog into something else, such as a web store, brand portal or complete site. It’s also one of the easiest to customize, modify and integrate with other CMS and web presence tools. WordPress.com does make it easy to get started quickly on a barebones budget, but if you hope to make a splash, you’ll eventually crave something more significant. Hosted blogging platforms like Medium and Tumblr may be social, but they’re niche products. While options like Ghost and Joomla are promising for those who demand the absolute bleeding edge tech and open-source tweaking capabilities, they lack some of the features that you’d expect the best blog platforms to include by default, and their technical nature can present some hurdles to entry. Squarespace is fantastic for creating sites affordably, but if blogging is your bread and butter, then it can’t beat the WordPress software. Want to learn more about WordPress.org hosting or other blogging platforms? Did I skip your favorite? Share your ideas in the comments, and stay subscribed for more great tips. Thanks for the write up. I read A LOT of reviews, and write some, it’s always good to get different perspectives on my competitors.